And we couldn’t have done it without such incredibly generous and dedicated partners, neighbors, and friends in this community. To everyone who has worked with us in the past and present to fulfill the mission of CommunityGrows and to create these beautiful green spaces where all are welcome – thank you! Today, on #GivingTuesday, we are asking you to support the right of low-income youth and youth of color in San Francisco to learn from the environment and enjoy the outdoors. 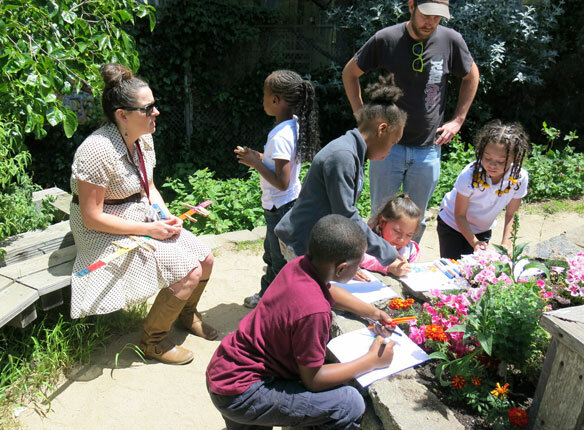 Your donation will go toward supplies like seeds and garden tools, books, journals and science kits, stipends we provide to our BEETS students, and the continuation of our garden and cooking classes. Those of you who’ve met our Founder Barbara Wenger will have no doubt heard her favorite story to tell – how Koshland Community Park and Learning Garden came to be – and we love to keep sharing it, because it’s the kind that offers even more insight from the past with each telling. 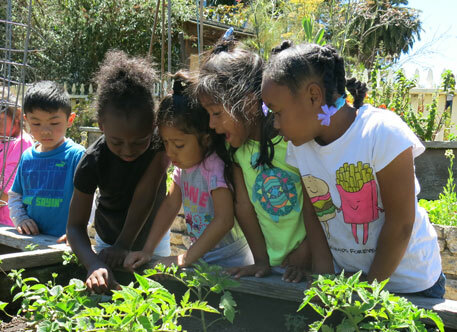 Read on to learn about how Koshland Park and CommunityGrows were born together from a strong community and the support of a whole neighborhood – and about how we’ve spread our roots to empower its most vulnerable residents. The story begins in 1973 after a fire swept through an apartment building on Page Street. Many residents wondered what would happen to the space where the once-large building now laid in ruins. The Trust for Public Land, with the support of the generous Koshland family, stepped in and obtained the rights to the land. In the space, the Koshland family aspired to build a park to honor their father. With neighborhood residents’ input and support on the project, the park was opened in 1976 and was deemed the largest new park in San Francisco in over 40 years. As the ’80s and ’90s came along, violence and drug abuse rendered the park unsafe, and residents no longer felt comfortable accessing the space. But in response, neighbors and local organizations began working together to improve their community. In this time CommunityGrows partnered with many groups in Hayes Valley, supporting the demolition of Central Freeway and the subsequent creation of Patricia’s Green Parkway, working with neighbors and community groups to renovate and reclaim parks (like the Rose-Page Mini Park), envisioning the Western Addition Peace Wall at Koshland Park with designs from residents and partners, supporting the construction and upkeep of the Buchanan Street Mall, and overseeing the renovation and transformation of the Koshland Community Park and Learning Garden in the early 2000s. 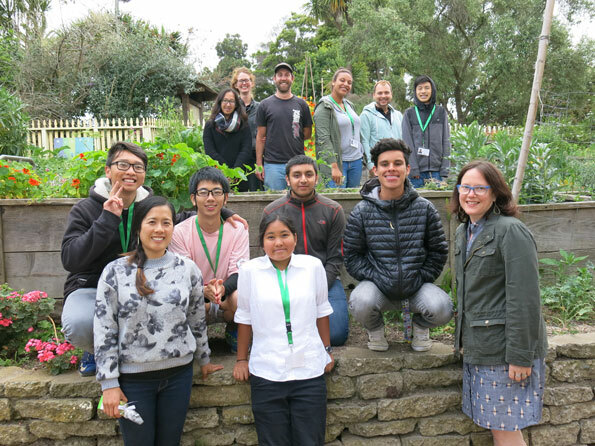 Today, CommunityGrows’ mission is to cultivate healthy, eco-literate youth by growing gardens in low-income neighborhoods. Through three (free!) interconnected programs, students ages 5–19 are able to learn in garden spaces and engage with the natural environment in the Environmental Education classes, they can put their gardening lessons to good use in the Seed-to-Mouth cooking and nutrition programs, and they can earn money while learning about green jobs and leadership skills by becoming members of the BEETS (Band of Environmentally Educated and Employable Teens) during their high school years. 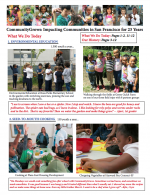 Click here to download Barbara Wenger’s History of CommunityGrows booklet in PDF format!